In 1877, a lawyer named George Baldwin Selden (1846-1923) of Rochester, NY designed a “road engine” that would be powered by an internal combustion gasoline engine. A patent (number 549,160) for the engine was applied for in 1879. Due to legal technicalities, the actual issuing of this patent was delayed until 1895. 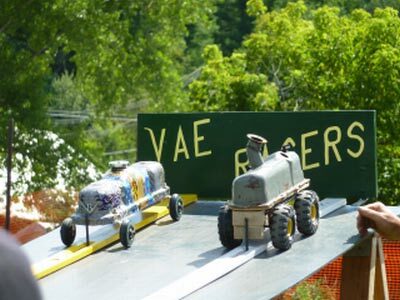 History claims Selden kept that patent pending until more internal combustion engines were on the road. 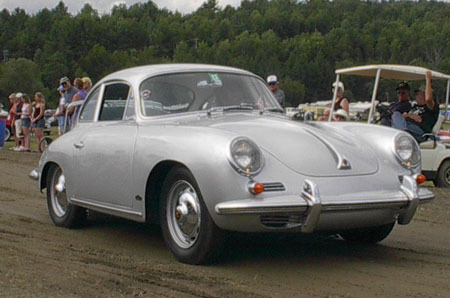 During this delay, a number of automobiles companies were already using the engine design. The Selden patent specifically covered the use of an internal-combustion engine for the sole purpose of propelling a vehicle. The patent eventually wound up in the hands of the Electric Vehicle Company of Hartford, Connecticut. In 1900 this electric car company had started producing gasoline-powered cars with Selden’s engine patent. They agreed to pay Selden $10,000 for the rights of the patent and a royalty for every car based on his design. To protect this patent, the Association of Licensed Automobile Manufacturers (ALAM) was formed. 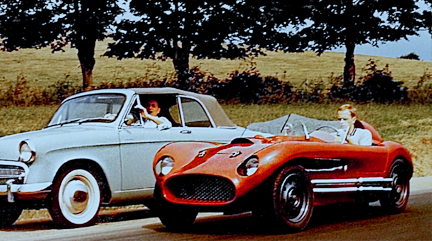 Several major manufacturers joined this group including Cadillac, Winton, Packard, Locomobile, Knox, and Peerless. Henry Ford initially applied for membership, but ALAM rejected his application. The Electric Vehicle Company attempted to control all gasoline car manufacturers and did so for a few years while the case went through court. Due to the delay in issuing the patent, the original rights did not expire until 1912. You will not find this plaque on any Fords. 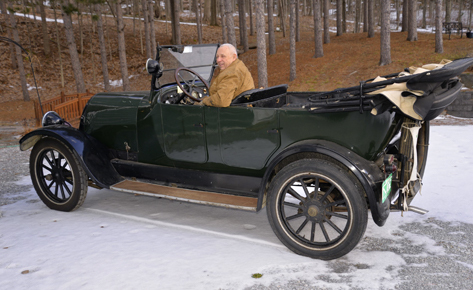 The case against Ford and other auto manufacturers dragged through court from 1903 to 1911. Few people had heard of Henry Ford, but the exposure the nine-year trial gave him helped sell his Model T. A final decision ruled that Selden’s patent was not being infringed upon because it was valid only for an automobile driven by a Brayton-type engine of the specific type described in the patent. Selden had yet to build a car aside from his 1877 prototype model. While going through the courts, he did manage to produce two vehicles. The first car was put together by Selden in Rochester, NY. A second car was assembled in Hartford by the Electric Vehicle Company. These two cars currently exist. The Rochester vehicle can be seen at the Henry Ford Museum and the Hartford car is on display at the Connecticut State Library. 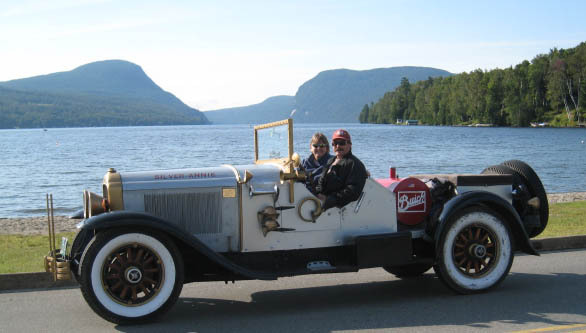 The Selden Motor Vehicle Company was officially formed in 1906 after taking over the Buffalo Gasoline Motor Company. “Made By The Father Of Them All” was the company’s advertising slogan. 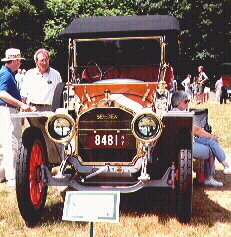 The first Selden vehicle was seen on the road in June of 1907. 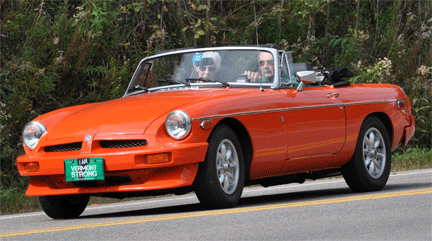 This four-cylinder car sold for between $2,000 and $2,500. Today, a nice looking Selden has a value of $25,000. In 1911, Selden received the news that his patent was declared unenforceable. His factory also had a major fire that summer. In the fall of 1911 the company was reorganized with Frederick Law, who had designed the Columbia gas car for the Electric Motor Company, on board as the new Selden designer. Some time in the early 1950’s, when I was about 45” tall, I was with my dad in his sheet metal shop when he pointed to an unrecognizable (to me, anyway) pile of sheet metal and said, “There is your car”. Far be it from me to see anything in that pile of stuff that had any similarity to any car that I had ever seen. Several years later, about 1965, as a teenager, I recognized that there was indeed a windshield and a radiator grill visible in the center of that pile.“ What the heck is a Whippet anyway?” With the help of some friends, I cleared away the junk and removed the car to an open shed, where we could change the oil, remove the gas tank, which was full of yuk, install a battery, fill the vacuum tank with gas, and with instructions from dad about hand throttles and manual spark adjustment, proceeded to start the little four banger. I then had to remove one tire and replace the inner tube. For the next few years I played with the car on dirt roads and drove it in the local parade a couple of times, still with the 1951 license plates on it. I graduated from high school in 1968, and my dad passed away that fall. The family business was going bankrupt within a year, and I was looking at the draft. With no place to store the Whippet, I sold it to a local mechanic and joined the Navy, to return four years later to find that the mechanic had sold it. Jump to some time around 1994, at a friends wedding, in a conversation with another old friend, the whereabouts of the Whippet was revealed to me. Another few years passed before I had the opportunity to approach the present owner and actually see the car again. Turns out that he had never attempted to start the car, and had no idea if it would run or even turn over. Seems the last time that it was driven was when I had it in the Memorial Day parade in 1968. Anyway, he had given it to his sons and didn’t know of their intentions. It was another two to three years (October, 2001) when I was finally informed that they would be willing to sell me the car, still with the 1951 registration and inspection documents in my father’s name. My intentions were to try to get it running as it was and take it from there. Well as it turned out, I found that the wooden sills were badly rotted, and got a little carried away taking it apart. Now I have a freshly painted chassis, a motor in Indiana, a transmission in parts on my work bench, body parts in a couple of different buildings, and dreams of driving a long lost part of my childhood to Nashville in 2005, with other members of the W.O.K.R. This month’s big “E” award goes to Willis Spaulding with kudos to wife and grandmother Shirley. 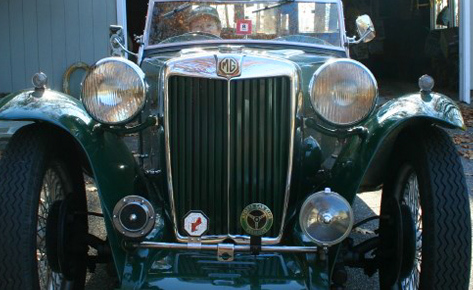 Grandson Matt is also a budding Vermont Auto Enthusiast, obviously mentored by Willis. This writer tricked Willis into providing some personal history for our pending 50th Anniversary Book… it appears below in his own words. Thanks Willis. 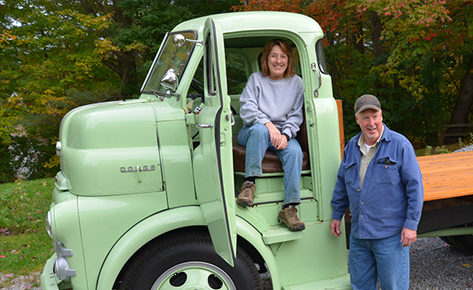 “I learned to drive on the farm in a Model T. I have always been a “car lover”. I learned of a local car club and decided to go to a get-together. I was surprised at the number of members that I knew. We, my wife and I, joined VAE in the early fifties, probably 1954. We decided that we needed an old car. 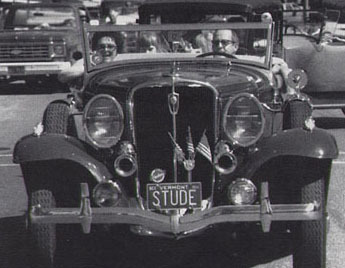 Pev Peake had a 1926 Studebaker Standard Six Coach for sale. Our regular car was a Studebaker so it seemed like a good choice. Our meets were very informal picnics, tailgate parties, etc. We saw pictures and films from our prior meets. 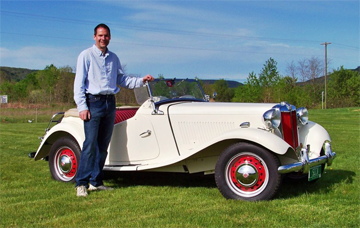 One car that I couldn’t get out of my mind was Jim McLaughlin’s 1930 Studebaker Tourer. I asked Jim about selling it but it wasn’t for sale. About this time, Cena Galbraith and I became editors for Wheel Tracks. It was then a 1 page mimeographed copy. We put it out quite regularly. It was printed at no expense! How? At this point and time our club was so poor that we had to take up a collection to have enough money to mail the next meeting notice and copy of the newsletter. Jim McLaughlin called me out of the blue and said that for X amount of dollars I could have the touring car. We were able to arrange a loan/gift from my parents to finance the car. They were not convinced that it was a great bargain but love is strong. Our family had a number of great times in this car. Most car lovers have to have or think they have to have more than one car. I went with friends to buy literature (shop manuals, etc) and ended up buying the car, another 1930 Studebaker sedan. Willis has only touched the surface of his enthusiasm with the above… The year he restored his convertible coupe he tore the end off the porch of his lovely Essex Junction home so as to be able to drive the car into the enclosed porch for winter restoration… and Shirley let him do it. And I can’t resist mentioning that some day when we are all telling stories, Willis, Pev Peake, and I could give you some fascinating history of the first “old car” that Willis mentions, the Studebaker coach. Willis… it’s been a great 49 years with your enthusiasm helping the club. We are counting on you, Shirley and Matt for many more. Leo Melanowski, Winton’s Chief Engineer invited Henry Ford to come to Cleveland for an interview at the Winton Company. Alexander Winton was not impressed with Henry and decided not to hire him. Henry went back to Detroit to continue working on his second Quadricycle. The Winton Company recorded its first sale in March of 1898 for $1000 dollars and by years end, 22 Winton’s were sold. 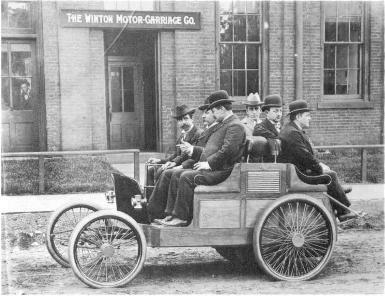 By 1899, more than 100 Winton’s had been delivered, making Winton’s the largest manufacturer of gasoline powered autos in the United States. With the Winton starting to show a fair amount of success, the first auto dealership in the United States was opened in Reading, Pennsylvania by H.W. Koler.